« Older: Wild Animals are NOT pets! The Government of Belize through the Cabinet has approved the proposed expansion of Hol Chan Marine Reserve. The decision taken to approve the expansion of the reserve was made on February 17th following the completion of minor adjustments made to the original draft proposal. 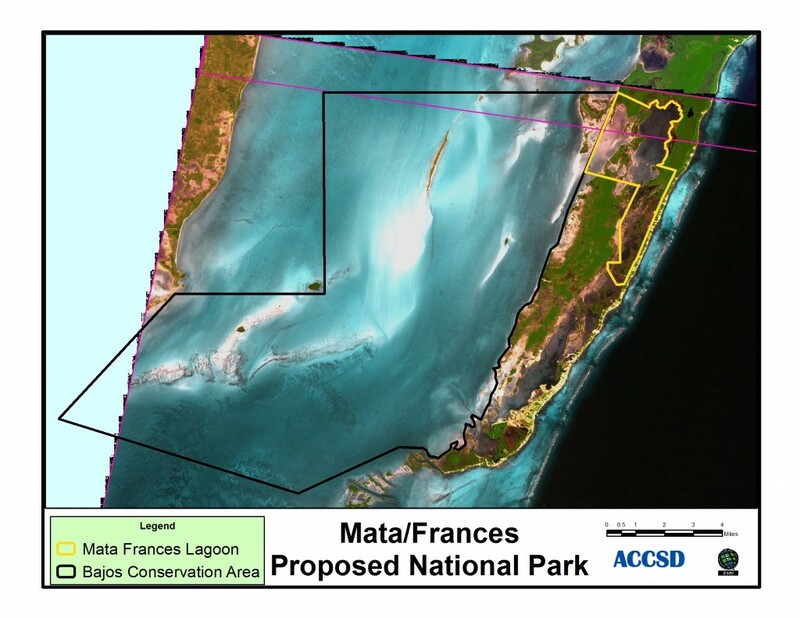 The decision brings the project one step closer to fruition following years of lobbying by marine environmentalists on Ambergris Caye. The project calls for the expansion of Hol Chan Marine Reserve to include three particular areas. The first is the Mexico Rocks snorkel and dive site area. That area starts north of the Palmero Channel off Ambergris Caye and expands five miles south to Mata Channel and is 1.5 miles wide. It is a total of 8.75sq miles and will take into consideration the coastline sea grass bed area and extend east to where the reef shelf drops off. Within the area there will be a “no-take” zone designated in the middle of the perimeter, which is currently used for recreational activities. The size of the ‘no take zone’ is 1.5 square miles (1 mile running along the reef and 1.5 miles running east to west from the outer fore-reef). The second area is known as the mangrove wetland area including the Mata and Frances Lagoon. The area is located three miles north of San Pedro Town and is bordered by Social Security lands to the west and hotel developments on the coastal dunes of the windward side of the island. The area consists mainly of inundated wetlands and several inner island lagoons. It is interconnected by a network of channels that are highly influenced by tidal exchanges of water that transport sediments, nutrients and many species. It is particularly important because it contains many sink holes that lead into an extensive network of underwater caverns that are yet to be explored. The wetland areas is known to be home to a wide variety of flora and fauna and serves as a hatchery and protection for many juvenile reef fish. The third part is the shoals and considered the largest of the three annexes and will include Los Bajos and Los Salones, part of which was acquired from private land owners. The area is located between the southern portion of western Ambergris Caye and mainland Belize. It is bordered by the Corozal Bay Wildlife Sanctuary on the north and the Hol Chan Marine Reserve on the far south-eastern end. Minister of Tourism, Civil Aviation and Culture Manuel Heredia Jr., who is a senior Cabinet Minister, said that the proposal was unanimously endorsed. He explained that initially, there were minor concerns having to do with parts of the proposed expansion raised by other Cabinet Ministers. Those concerns were over the use of tradition fishing grounds by fisher folk from Bomba Village. Once identified, those coordinates were adjusted with the help of stakeholders who were involved in the draft of the proposal. Another area of concern was specific parts of the shoals that were initially granted license for dredging and once identified, those adjustments were also made. “These things take time because we have to first review the document, look at areas where concerns were raised, make adjustments and then re-submit it for review. It’s a lengthy process that includes the input from technical people, experts and even legal advice. So to say we waited last minute to accept the proposal is not fair. We had been working to ensure we had everything in order,” said Heredia, who was tasked as the Area Representative to push the proposal forward. The expansion of the reserve went through a series of consultations conducted under the auspices of the Ambergris Caye Wetland Committee (ACWC). In August of 2012, following almost two years of back and forth, it finally got the full approval of local traditional fishermen, guides and other stakeholders on the island. However, in 2014, the fate of the proposal was tested after there were attempts made to subdivide a portion of the wetland for residential house lots. Following condemnation by environmentalists and other island residents, that decision to subdivide a portion of the proposed reserve expansion was reversed. In total, approximately 135 square miles of shoal, reef and mangrove wetland will be added to the existing Hol Chan Marine Reserve. 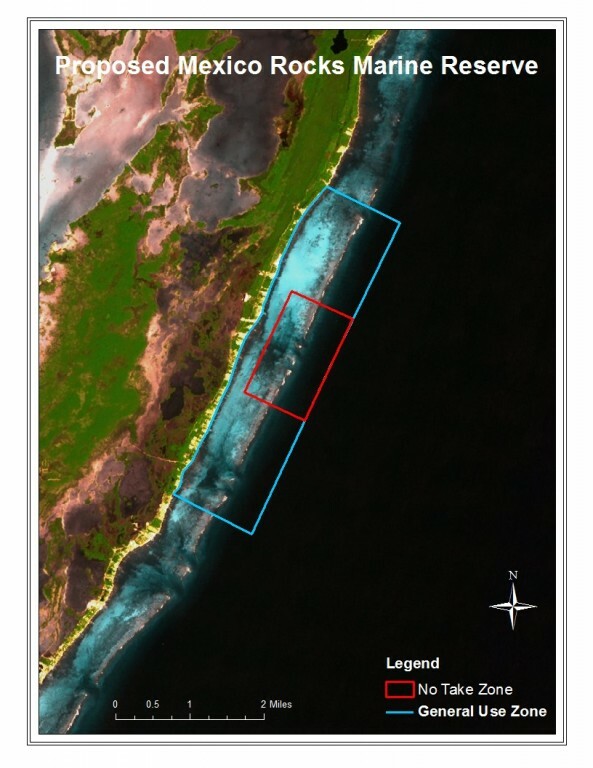 With the expansion of the reserve, it will form a complete corridor of marine protected areas that will see the connection of Hol Chan Marine Reserve, Corozal Bay Wildlife Sactuary, Bacalar Chico Marine Reserve, all in Belize, and El Arecife de Xcalax Marine Reserve in Mexico.